It is a well-known fact that most of the Internet is run by advertising. Much like how television and radio offer free content by generating revenue from advertisements, the Internet works the same way.Web advertisements may be annoying, but most people would agree that seeing the occasional banner ad is a much better alternative than paying a usage fee for each website you visit.And if you’ve spent any time browsing the world wide web, then you’ve come across more than your fair share of banner ads, the most prolific form of web advertising. Banner ads are a unique form of hypertext link.The difference is that instead of text, the link is shown as a box containing graphics and, sometimes, animation. By technical definition, they are rectangular graphic displays stretching across the top or bottom of a website or down the right or left sidebar. The graphic element makes a banner ad similar to its printed counterpart, but with the added ability to bring a customer directly to the advertiser’s website.They can either be static or animated, depending on the technology used to create them. A static banner ad is an image or visual that serves the same purpose as an advertisement, but in the digital world allows you to click on it and redirect you to a particular website or landing page.An animated banner ad is a form of digital advertising delivered by an ad server. Like the static banner ad, its principal aim is to be noticed and clicked by as many users possible. Similar to print advertisements, banner ads can also inform the viewer, introduce a new product, and increase brand awareness. Banner ad cost is characteristically calculated according to its “number of impressions,” with one impression equivalent to a single page view by a web user. Rates can go as low as 50 cents per one thousand impressions (CPM). This means that for 50 cents, your banner ad can be displayed 1,000 times.On the other hand, there are some websites which charge a one-off fee for a particular time period. The final amount depends on your banner ad’s position, size, and the audience of the website you’re advertising on. A banner advertising campaign typically lasts for at least a month. 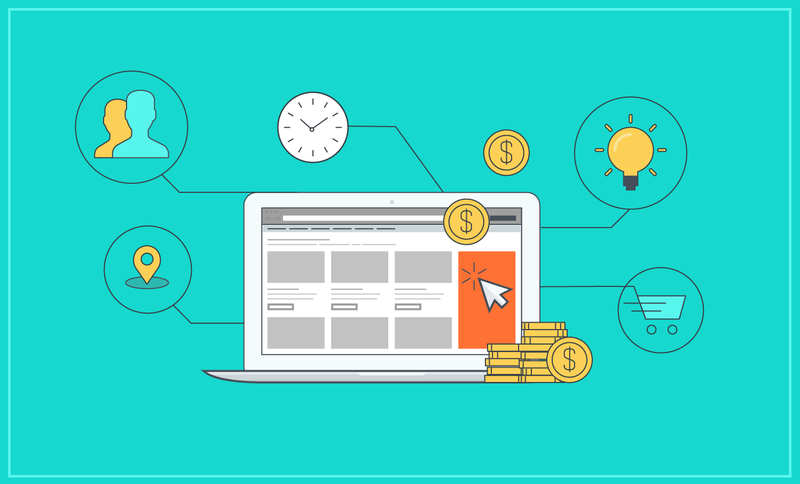 Throughout the years, the cost of banner ads has declined significantly, but it is still a popular mechanism that websites can use to promote themselves for no cost at all. With this method, you can feature the banner of another company, ZeaProukou, for example, on your website 10 times, while your own banner is displayed typically seven to eight times on theirs. This form of free advertising, known as banner exchange networks, can be of benefit if you have a highly effective banner. The more visitors your website receives, the more chances your banner is seen, further increasing click through rate (CTR) and brand awareness. CTR determines the percentage of users that click on your banner ad. A high CTR against your banner ad would increase your chances of making a sale and lessening the cost. For example, having a banner ad priced at $200 with a CTR of 10 costing you $20 per visitor is far better scenario than having the same banner ad at the same price but with a CTR of 5 costing you $40 per visitor. A study on US, Europe and worldwide CTR statistics shows that large rectangle banner ads are ranked the highest, with a CTR of 6.22% of non-video banner ads and 4.25% of video banner ads. Half-page ads are next in line, with a CTR of 3.8% of non-video banner ads and 4.2% of video banner ads. How to choose banner design? You don’t need to be an expert designer to make your own banner ad. With a computer and an Internet connection, anybody can create web banners. But there are several key elements you need to consider in order to choose the right banner design for your company. The first things you must know is who your main target audience is, what you want from them, and what your value proposition is. In choosing the design for your banner, make sure to select a standard web banner size so that you don’t limit the reach of you banner ad campaigns. Use readable fonts if you want the user understand what you want to offer and what he can get. Present a branding element along with your brand colorson your ads to project professionalism and increase brand awareness. Also, use high quality photos since those of poor quality can cause mistrust between the brand and the user.And don’t overstuff your banner ad. The simpler your banner ad is, the easier you can put your message across to your audience. Ideally, banner ads should be designed using the same colors on the website it’s on, increasing click-through chances. Always provide a call to action on your banner ads. Using words such as “click here” and “free” work well. And it’s definitely worth considering where you want people who click on your banner ad to be taken to. Designing a landing page which expands to display the necessary information or the offer mentioned on the ad would prove to be most effective. Also, keep in mind that CTR begins to fall after 2-3 weeks, so it is important to keep your content fresh and introduce new banners from time to time. Finally, in designing banner ads for an affiliate scheme, don’t mention your domain name. Doing so would allow users to remember the domain name and type the website directly on their web browser, lessening the visitor traffic on the affiliate’s site. Does banner ad size have an impact on its cost? Does the placement of banner ad (website ranking) have an impact on cost? Banner ad costs are directly proportional to the ranking of the website on which your ad is featured. Choosing to place your banner ad on higher ranked websites increases the cost accordingly. If you decide to situate your banner ad on a popular search engine like Yahoo!, then costs can go from $20 to $50 per 1,000 impressions. The downside to this situation is that with such companies, you are restricted to purchasing a minimum number of impressions. For Yahoo!, you may need to buy at least 100,000 impressions, which can cost from $200,000 to $50,0000. On the other hand, these companies also offer bulk deals and discounted packages that you can avail of, allowing you to save a great deal of money overall. Placing a banner ad on a homepage costs a whopping $450,000 per day on Yahoo!, while a homepage banner ad with a video would cost you $400,000per day on YouTube. Additionally, a banner ad on Facebook’s logout page may cost you $100,000 per day. What are the things you need to know before hiring a professional for your banner ad campaign? It isn’t easy to get good results from your banner ad campaign. In the year 2015 in the United States alone, Internet users were exposed to over 5 trillion banner ads, with an astounding number of 45 million users who were using an ad blocker. It’s overwhelming to think about how you can stand out in the midst of such heavy traffic while surpassing the ad blocker and engaging the users long enough to convince them that your ad is actually useful and not intrusive. According to a study, the average CTR on banner ads is as low as 0.06 percent, with over 50 percent of users preferring not to click on banner ads due to mistrust. Also, another shocking statistic reveals that only 8 percent of Internet users are responsible for 85 percent of clicks on display ads. So how then do you establish yourself as an authentic enterprise while encouraging more users to click on banner ads? In light of these facts, leaving your banner ad campaign unmanned by an expert would set you up for failure. Pick a company that can help you create highly engaging end effective banner ad designs while keeping the costs to a minimum. This will give you the best value for the money you spend on for your campaign. Digital advertising is essential to your overall marketing strategy, and banner ads can definitely give your business the boost it needs. Use your resources well and maximize them to their full potential and success will come knocking your door in no time. Paul Gilbert is a professional blogger, an enthusiast who loves to write on several niches including Insurance, Personal Injury, workers compensation attorney & Social Security Disability. He is also a part-time consultant at Zea Proukou, providing best solutions & support to injured workers for claiming workplace injury benefits under Workers' Compensation.